This is a wonderful and cheap paperback that has muscle group-specific exercises (how do I stretch my hamstrings?) 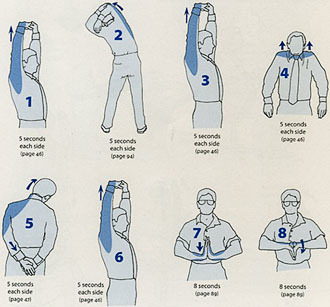 and exercise-specific stretches as well (what do I do for soccer?). If you are tight or having muscle pains from sports (or aging, in my case) this book could help. 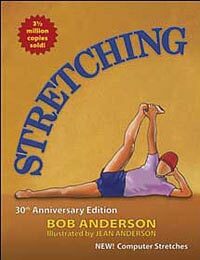 I haven’t encountered any source on this subject as broad, accessible, and easily applied as Bob Anderson’s classicStretching, a patient and friendly stand-in for my eight-grade P.E. teacher. The 30th anniversary edition of this guidebook came out recently, with even more stretches and illustrations, and it’s easily the most comprehensive work on the subject. 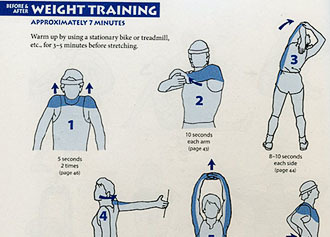 I love the activity-specific sections: cyclists, for instance, are shown stretches that not only address the muscle groups made tight and tense by our specific sport, but the stretches geared toward bike riders even include a bicycle to be utilized as a support. Activities from weightlifting to computer using get their own sections, too. Organizationally,Stretchingshines. Tight neck? Rigid shoulders? Thumb through to your proscribed routine and get to work. With minimal flexibility but a willingness to make an effort, almost anyone can use this book to become more limber, healthier. – Make strenuous activities like running, skiing, tennis, swimming, and cycling easier because it prepares you for activity; it’s a way of signaling the muscles that they are about to be used. The study that first suggested a link between vaccines and autism and spurred a long-running, acrimonious debate over the safety of vaccines has been retracted by the British medical journal that published it. The withdrawal supports the scientific evidence that vaccinations don’t cause autism, but isn’t likely to persuade advocacy groups that believe in a link. A new autism study shows clusters of high autism rates in parts of California. WSJ’s health columnist Melinda Beck joins Simon Constable on the News Hub with more. 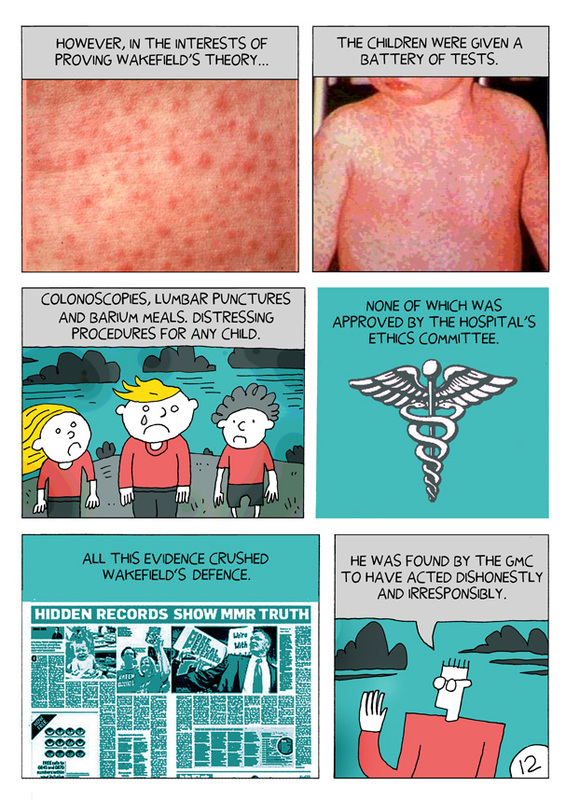 The 1998 study of 12 children triggered worry among British parents that the measles-mumps-rubella vaccine caused autism, and many decided not to immunize their children against measles, according to Richard Horton, editor in chief of the Lancet, which issued the retraction Tuesday. He called the study the “starting pistol,” though not the only cause, of the controversy. Concern about the safety of vaccines, particularly regarding the preservative often used, thimerosal, which contains mercury, spread to the U.S. as well. Research has shown that as many as 2.1% of U.S. children weren’t immunized with the MMR vaccine in 2000, up from 0.77% of children in 1995, according to a 2008 study published in Pediatrics. A widely cited 2004 statistical review of existing studies by nonprofit health-information provider the Institute of Medicine, which traced the vaccine theory back to the Lancet study, concluded there was no causal link between the MMR vaccine and autism. Some autism activist groups, however, continue to advocate against vaccinations for children, despite the lack of scientific evidence for such a link. “Certainly the retraction of this paper doesn’t mean that MMR doesn’t cause autism and it’s all a farce,” said Wendy Fournier, president of the National Autism Association. It is “possible” that the MMR vaccine causes autism, she said, but “the science is not there in terms of the mechanism.” The concern is that measles virus has been found in children’s intestines after vaccination, said Ms. Fournier. A study published in 2008 by researchers from several universities and the Centers for Disease Control and Prevention examined children with gastrointestinal problems who had autism compared with those who didn’t have autism. 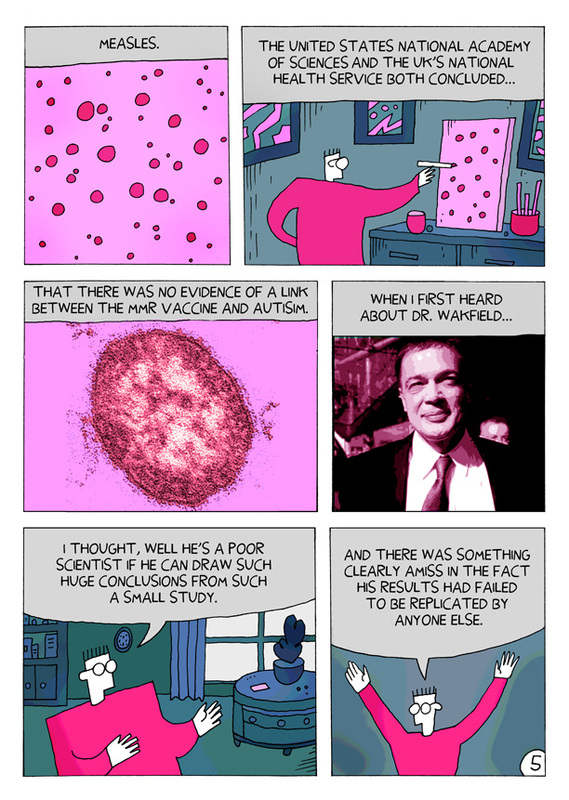 They concluded there wasn’t any evidence that the vaccine was responsible for autism. 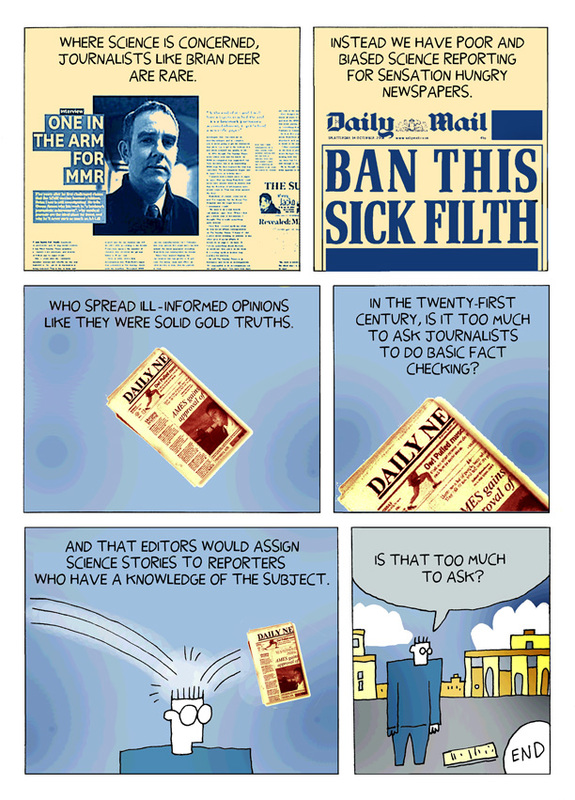 Ten of the 13 authors of the original paper, all of whom were researchers at the Royal Free Hospital and School of Medicine in London, partially retracted the paper in 2004. 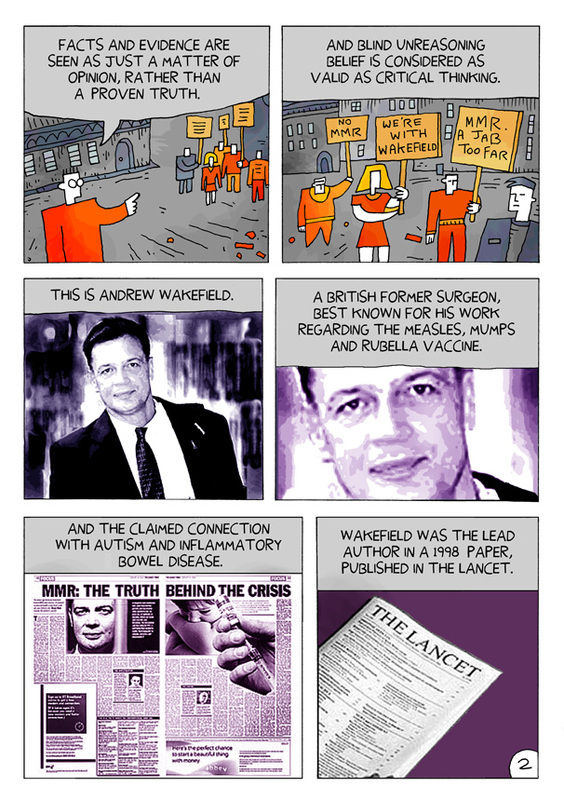 However, the first author, Andrew Wakefield, didn’t. Dr. Wakefield, who is now at the Thoughtful House Center for Children in Austin, Texas, didn’t immediately return phone calls seeking comment. 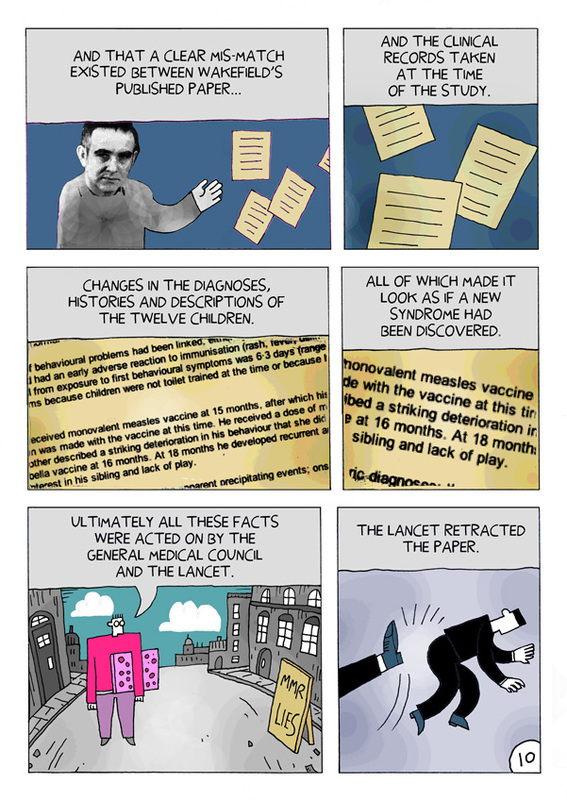 The Lancet decided to issue a complete retraction after an independent regulator for doctors in the U.K. concluded last week that the study was flawed. The General Medical Council’s report on three of the researchers, including Dr. Wakefield, found evidence that some of their actions were conducted for experimental purposes, not clinical care, and without ethics approval. 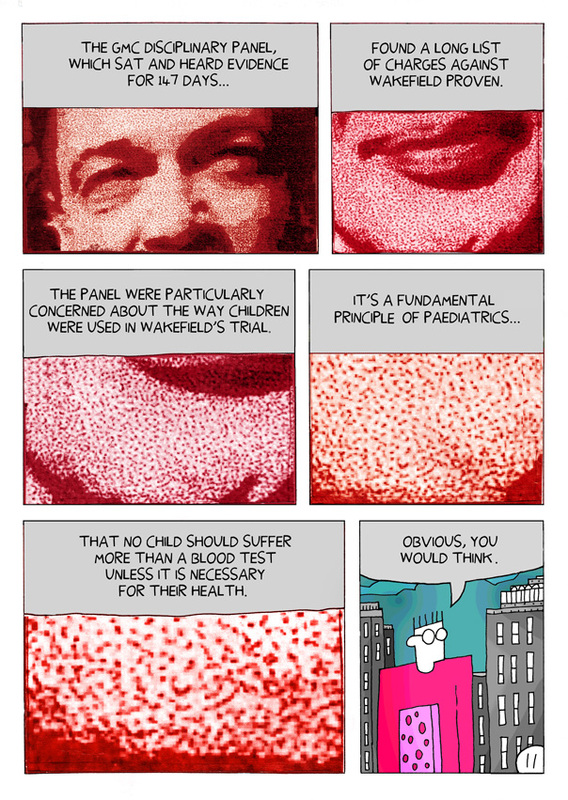 The report also found that Dr. Wakefield drew blood for research purposes from children at his son’s birthday party, paying each child £5 (about $8). The Lancet’s Dr. Horton said the journal was particularly concerned about the ethical treatment of the children in the study, and that the children had been “cherry-picked” by the study’s authors rather than just showing up in the hospital, as described in the paper. The authors “did suggest these children arrived one after another and this syndrome was apparent, which does lead you to think this is something serious,” said Dr. Horton. In the 1998 paper, Dr. Wakefield and his colleagues described 12 children with gastrointestinal problems. Eight experienced symptoms that were thought to be related to the MMR vaccine, according to their parents or a doctor, and nine of the 12 children exhibited autistic behaviors. Dr. Wakefield has been outspoken about his concern about the measles vaccine. He has continually pushed the view that the vaccine caused autism, said Greg Poland, professor of medicine and infectious diseases at the Mayo Clinic and director of the vaccine research group in Rochester, Minn.
“With the retraction, the hypothesis that he put forward has been debunked,” said Dr. Poland. —Peter Loftus contributed to this article. This is from the British government and it’s equivalent to the American Academy of Pediatrics. They, too, in addition to the AAP, the World Health Organization and the American Committee on Immunization Practices have concluded that vaccines are not only safe but that they CATEGORICALLY DO NOT cause or contribute to autism, which is KNOWN to have genetic causes. How can a rapid test for influenza impact medical outcomes? February 2, 2010 — The British doctor who led a study suggesting a link between the measles/ mumps/rubella (MMR) vaccine and autism acted “dishonestly and irresponsibly,” a U.K. regulatory panel has ruled. The panel represents the U.K. General Medical Council (GMC), which regulates the medical profession. 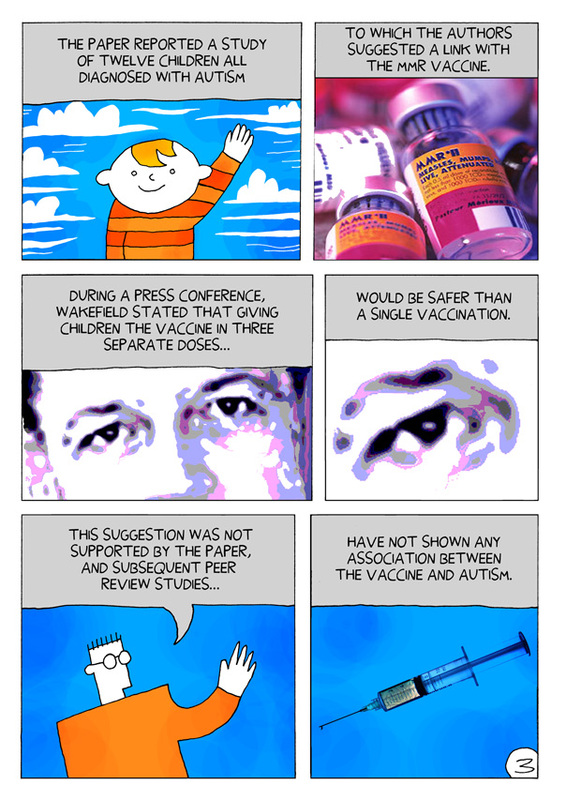 It ruled only on whether Andrew Wakefield, MD, and two colleagues acted properly in carrying out their research, and not on whether MMR vaccine has anything to do with autism. In the ruling, the GMC used strong language to condemn the methods used by Wakefield in conducting the study. 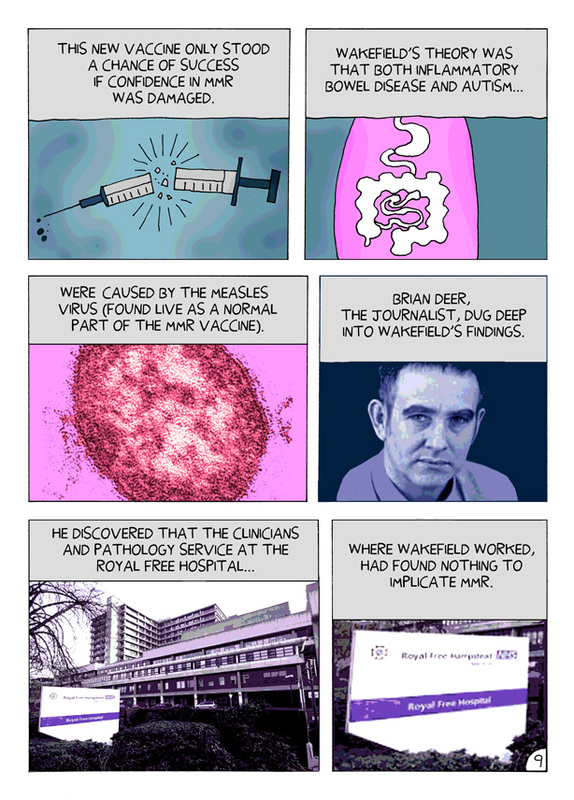 In the study, published 12 years ago, Wakefield and colleagues suggested there was a link between the MMR vaccine and autism. Their study included only 12 children, but wide media coverage set off a panic among parents. 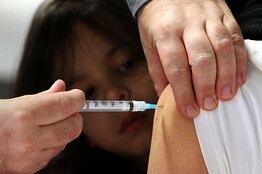 Vaccinations plummeted; there was a subsequent increase in U.K. measles cases. In 2004, 10 of the study’s 13 authors disavowed the findings. 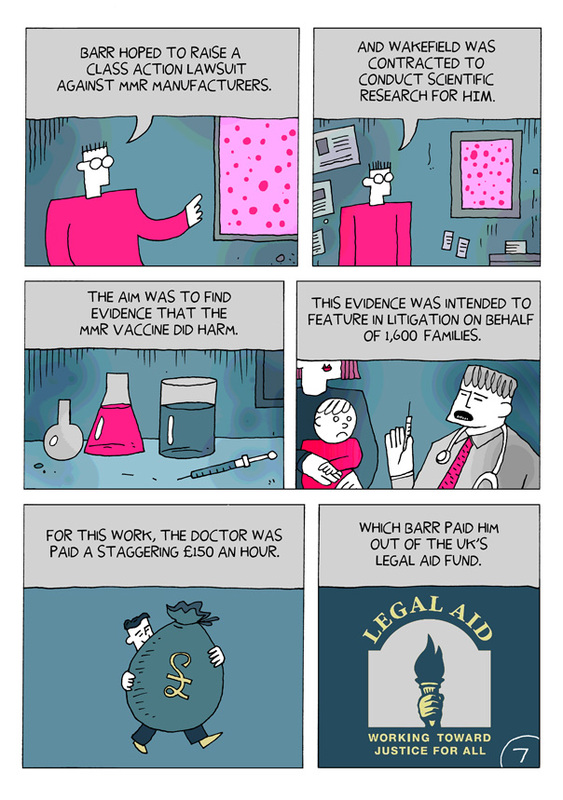 The Lancet, which originally published the paper, retracted it after learning that Wakefield — prior to designing the study — had accepted payment from lawyers suing vaccine manufacturers for causing autism. The GMC’s Fitness to Practise panel heard evidence and submissions for 148 days over two and a half years, hearing from 36 witnesses. It then spent 45 days deciding the outcome of the hearing. Besides Wakefield, two former colleagues went before the panel -John Walker-Smith and Simon Murch. They were all found to have broken guidelines. He’d taken blood samples from children attending his son’s birthday party in return for money, and was later filmed joking about it at a conference. He’d also failed to disclose he’d received money for advising lawyers acting for parents who claimed their children had been harmed by the triple vaccine. The GMC will next decide whether Wakefield and his former colleagues committed serious professional misconduct. That could lead to being struck off the medical register. That decision may not be taken for several more months. Wakefield was cheered by a group of parents outside the hearing who are still sure he is right, even though his findings have been widely discredited. The government and medical experts continue to stress that the MMR vaccine is safe. The MMR triple vaccine was licensed in the U.S. in 1971 and first used in the U.K. in 1988. Over 100 countries now use it, and it is estimated that more than 500 million doses have been administered. At the peak of the MMR scare in 2002, there were 1,531 articles about MMR in the U.K. national press; in 1998 there had been just 86. Between 2001 and 2003, U.K. opinion polls showed that the percent of people believing the MMR vaccine to be safe dropped from over 70% to just over 50%. U.K. Health Protection Agency figures show measles incidence increased dramatically following the drop in the number of children being vaccinated. The number of confirmed cases between 2007 and 2008 was 2,349, roughly equal to the combined total for the previous eleven years. House of Commons Library Measles and MMR Statistics. In what is rapidly becoming a true non-issue, at least among the people that study this for a living, the British journal Lancet has retracted the findings of the ORIGINAL study that they themselves published over 10 years ago that seemed to link autism with vaccines. They now state unequivocally that this study was flawed by the intentional use of falsified numbers and have withdrawn their support for both the study itself and the now disgraced principal author, Dr Andrew Wakefield. Read on. February 2, 2010 — The venerable British medical journal The Lancet has retracted a 1998 study suggesting a link between autism and childhood vaccination with the measles-mumps-rubella MMR vaccine. The Lancet tells WebMD that it has retracted “10 or 15” studies in its 186-year history. The retraction follows the finding of the U.K. General Medical Council (GMC) that says study leader Andrew Wakefield, MD, and two colleagues acted “dishonestly” and “irresponsibly” in conducing their research. The Lancet specifically refers to claims made in the paper that the 12 children in the study were consecutive patients that appeared for treatment, when the GMC found that several had been selected especially for the study. The paper also claimed that the study was approved by the appropriate ethics committee, when the GMC found it had not been. “We fully retract this paper from the published record,” The Lancet editors say in a news release. The retraction means the study will no longer be considered an official part of the scientific literature. 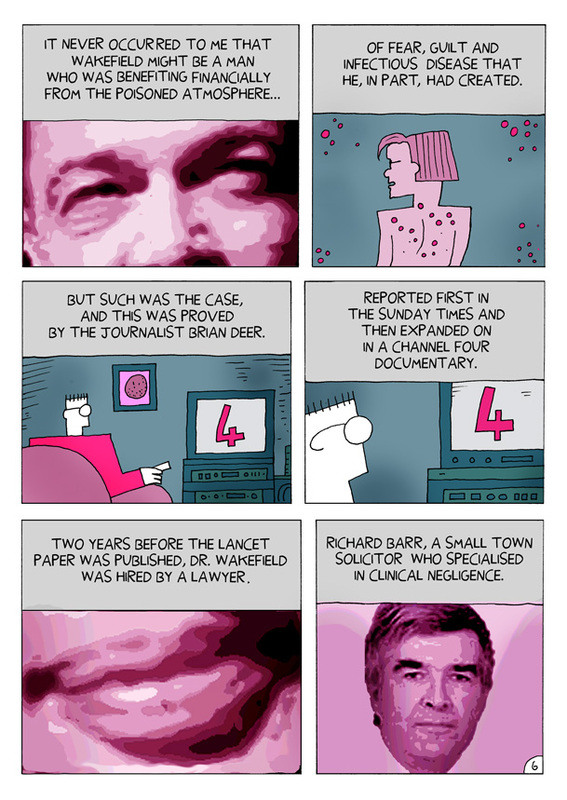 BMJ, formerly known as the British Medical Journal, has competed with The Lancet since 1840. BMJ editor Fiona Godlee says she welcomes the Lancet retraction. “This will help to restore faith in this globally important vaccine and in the integrity of the scientific literature,” Godlee says in a news release. 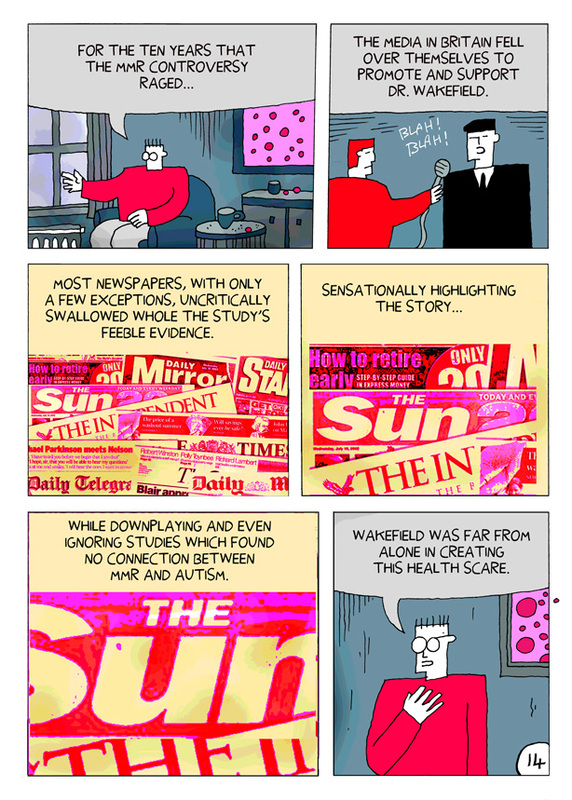 In 2004, 10 of Wakefield’s 13 co-authors disavowed the findings of the 1998 study. 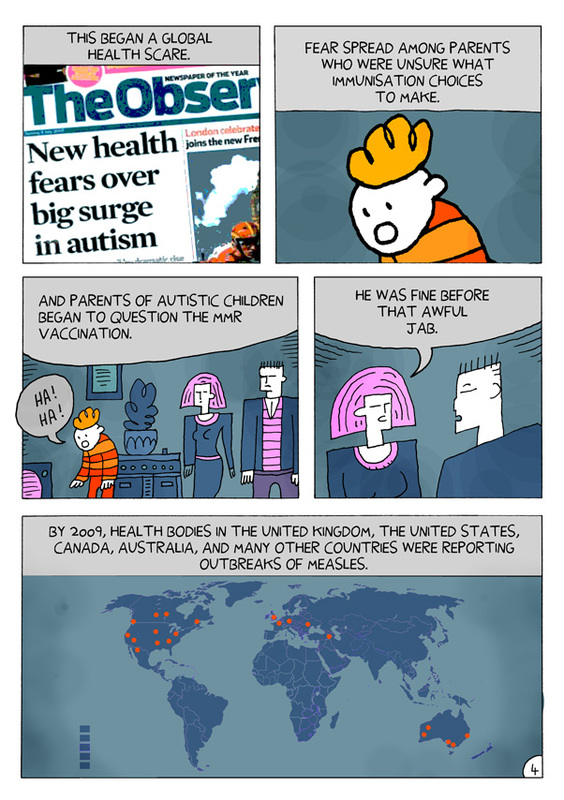 Although the study never claimed to have definitively proven a link between the MMR vaccine and autism, sensational media reports ignited a public panic. MMR vaccinations fell dramatically. More rigorous studies have found no link between autism and the MMR vaccine. Last year, the U.S. “vaccine court” rejected U.S. lawsuits claiming that there was a plausible link between the vaccine and autism. 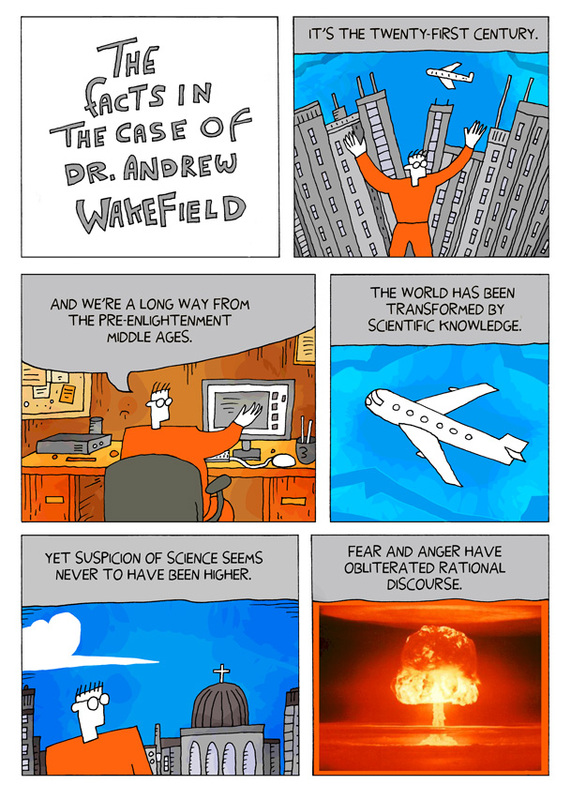 Wakefield continues to proclaim his innocence and defends his earlier work. He now resides in Texas, where he is executive director of an alternative medicine center for autism treatment and research. 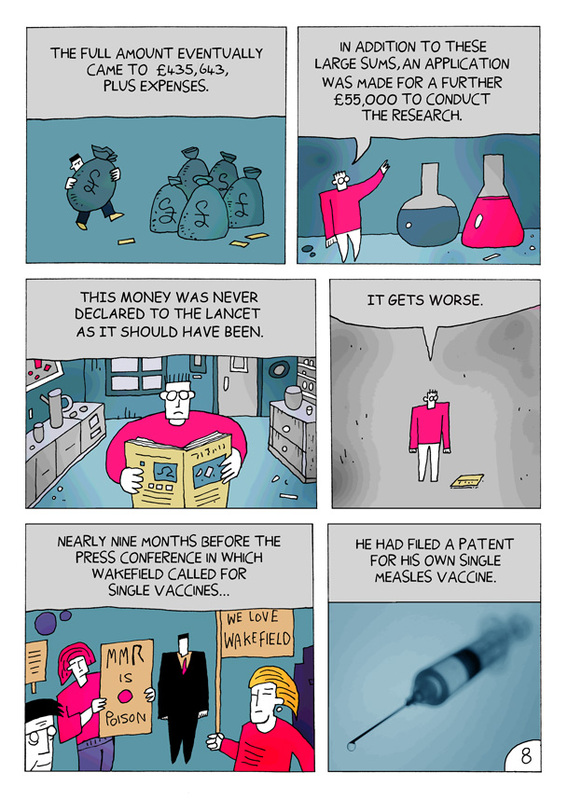 The Lancet, published online Feb. 2, 2010. Most parents wonder from time to time if their child is developing “normally”. The American Academy of Pediatrics and other national groups have well established guidelines for development, but keep in mind they are just that—guidelines. There can be a wide range of normalcy around these milestones, particularly when you take into consideration prematurity and illness states. As your healthcare providers, it is important for us to regularly assess your young child for age appropriate skills and behaviors. As long as she/he is continuing to learn and do new things, all should be well! Listed below are some possible red flags for delayed development. It is important to recognize these possible signs in a timely manner and have the child evaluated by a developmental specialist or early intervention agency. Locally, Early Steps or Face-Autism, Inc. provides free screening for children less than 3 years of age. Children over 3 years can be seen through the school system or privately by Neurology or Psychiatric Services. If you have any concerns about your child or grandchild, please bring it to our attention so we can assess and make appropriate referrals. There are 250,000 sweat glands in each foot, producing half a pint of moisture per day. People with excess sweating, called hyperhidrosis, can sweat much more than that, leading to scaling, fungus infections, and overall sandal-unworthy feet. Wash your feet every day with antibacterial soap, such as an antibacterial hand soap. Then dry them completely, including between the toes (you know you don’t). Use a hairdryer on the cool setting to get your feet completely dry. Apply a foot powder (powder is better than corn starch, which tends to absorb the moisture, leaving a wet paste on your skin). Try Lamisil AT defense with tolfnaftate, an antifungal, if you have a tendency to get athlete’s foot, or try Dr. Scholl’s Deodorant Foot Powder with Zinoxol (zinc oxide and baking soda) if you have smelly, sweaty feet. Wear synthetic socks, instead of cotton (yes, you read it right. NOT cotton). Synthetic socks wick moisture away instead of trapping it like a sponge. Try Adidas’ Clima Cool socks. Use a spray antiperspirant such as Gold Bond Maximum Strength Foot Spray. Your regular underarm antiperspirant will work as well, but the aluminum chloride concentration is much lower, so it is less effective. Call our office. We can prescribe a prescription-strength antiperspirant (Drysol ®). After one week of applying Drysol nightly, most patients have a significant reduction in foot sweating. It can, however, be irritating and some people cannot tolerate using it every day. Botox®. Yup, Botox. When injected into your feet, it blocks the signal from the nerves that turn on your sweat glands, stopping sweating. The downside: getting stuck with little needles about a hundred times on the bottom of your feet. The upside: a marked reduction in sweating that lasts many months. Will Drinking Water Moisturize Your Skin? This is a popular myth, perpetuated by fitness and fashion magazines. Only one study ever linked drinking water with skin hydration. That study used expensive mineral water, not plain bottled or tap water, and the study didn’t have any impact on your skin and no controlled study has ever shown that any type of drinking water has an effect on your skin. From a physiologic perspective, drinking water could only have a negligible impact on your skin’s hydration. In fact, patients who have too much water in their tissues (edema) do not have healthy skin. For example, patients with venus insufficiency who have swollen, fluid filled legs have skin that is often dry, itchy, and scaly. The amount of water in your skin after a 5 minute shower is magnitudes higher than you could achieve by trying to hydrate it from the inside out. The key is to apply a cream or ointment when your skin is still wet to seal in the moisture. Then drink as little or as much water as you like. When cool, dry air hits it makes many patients’ skin dry. Many tell me that their skin remains scaly and itchy despite moisturizing daily. The best advice I can give is to teach them to moisturize properly. The first question I ask is: Are you using a lotion or a cream? The difference between the two comes down to the water content. Creams and lotions are mixtures of oil and water. It is the oil component that is most important for your dry skin. Lotions are droplets of oil mixed in water. They have a high water and low oil content. As such they are easy to spread on dry skin. However, the water is not well absorbed and quickly evaporates, which actually dries your skin further. In contrast, creams are droplets of water mixed in oil. They have a high oil and low water content. They are more difficult to smear on dry skin but apply easily to moist skin. Therefore, they are best used immediately after your shower or bath when your skin has soaked up the water like a sponge. Applying cream then creates a layer of oil that locks the moisture in your skin. The water does not evaporate, and your skin stays hydrated. This is why in the wintertime I advise patients to use only creams. In the warm, humid summer, lotions are actually better. With holiday and winter ski trips upon us, this common childhood aliment is likely to arise. When many kids have dry skin, they often also get red irritated skin around their mouths. As the skin gets irritated, many children will begin to lick the area to keep it wet. Unfortunately, the chronic licking establishes a pattern of accelerated evaporation and destruction of the epidermal barrier leading to the classic lip licker’s dermatitis. Out of desperation, parents try topical steroid creams and antifungal products with little improvement. Fortunately, this type of rash usually responds well to water barrier moisturizers such as Vaseline, Aquaphor Healing Ointment, and Eucerin Original Moisturizing Cream, etc. The trick is that you have to put moisturizers around your child’s lips several times an hour, to help break the cycle of irritation and lip licking. I took this from a journal called The Prescriber’s Letter. It discusses a few of the things to be considered when buying a sun screen. A new sunscreen called Mexoryl SX will raise questions about optimal sunscreen protection. SPF is often misunderstood. SPF applies only to UVB…not UVA. UVB causes the familiar sunburn. Explain that SPF is an estimate of how long a person can stay in the sun without obvious sunburn. For example, if a person would burn in 10 minutes with NO protection, then an SPF 15 sunscreen will protect 15 times longer or 150 minutes…and an SPF 30 would protect 30 times longer or 300 minutes. Tell patients there’s no proof that an SPF over 50 gives any measurable added benefit. UVB ratings get the most attention, but are only part of the story. UVA ratings will appear on some sunscreens. You’ll see 1, 2, 3, or 4 stars indicating low, medium, high, or highest protection. UVA causes skin aging and skin cancer…not visual sunburn. For now, recommend sunscreens labeled broad-spectrum. These contain UVA blockers such as avobenzone, zinc oxide, and/or titanium. You’ll now see Mexoryl SX (ecamsule) in some Anthelios sunscreens. Mexoryl SX covers some of the shorter UVA rays that are not covered by avobenzone…and it’s more stable in sunlight. But when avobenzone is combined with octocrylene, oxybenzone, or other ingredients it’s more stable and has a broader spectrum. Recommend zinc oxide or titanium dioxide for sensitive skin. They block UVA and UVB by sitting on top of the skin…not binding to it. Water resistance ratings refer to how long the product is effective during swimming, heavy sweating, etc. Explain that a product labeled “water-resistant” lasts about 40 mins in water…and a “very water-resistant” product lasts about 80 mins. Proper application is key. Instruct people to apply sunscreen 20 minutes before sun exposure…and reapply at least every 2 hours. Emphasize applying enough…about 1/2 to one teaspoon per body part (leg, arm, back, face, etc)…or about 1 ounce for the full body. Applying only half the amount will give only half the protection. Advise avoiding sunscreen/insect repellent combos. Suggest using separate products because the sunscreen needs to be applied more often than the repellent. Advise patients to apply the sunscreen first, then the repellent. Drug-induced photosensitivity is primarily due to UVA rays. Advise patients taking photosensitizing drugs to use a broad-spectrum sunscreen. This has little or nothing to do with pediatrics and/or children’s health. I just thought it is interesting, and you may, too. Morocco fought Mali in the sixteenth century for the mines of Taoudeni; the Venetians, whose salt interests are an historical study in themselves, destroyed Comacchio in the tenth century and the salt gardens of Cervia in the fourteenth; pirates throughout the centuries ambushed and raided the slow heavy convoys of salt ships. There are plenty of other examples—all of which seem outlandish to us today, considering that the biggest battles fought over salt have to do with whether it should be spread over icy roads in winter. Salt has lost its nobility, its historical power—but from the salt-starved Vikings to the salt-greedy Romans, salt has played an important role in human history. Nowhere does this seem more obvious than in the salt-rich environs of eastern Bavaria and western Austria. The de facto capital of the region, Salzburg (or “salt town”) was built by its first archbishop in the eighth century with profits from salt mining, but the practice of salt mining goes back even further, to the civilization of the early Celts. In his book Salt: A World History, Mark Kurlansky describes the discovery by local salt miners in the 1600s of a “perfectly preserved body, dried and salted ‘like codfish,’” believed now to date to 400 B.C. Dressed in colorful fabrics, this “saltman” and two others like him were found with the tools of their trade near them, proof of an ancient salt mining culture. This salt mining tradition continues in the modern salt works along the German/Austrian border, and it’s possible to experience some of what those ancient miners might have felt, deep in the mountains of salt. Founded in 1517, the Salzbergwerk Berchtesgaden (“Berchtesgaden salt mine”)—located near Salzburg but on the German side of the border—once entertained only aristocratic visitors, but now welcomes the public to its underground facilities and caves. Berchtesgaden, erroneously linked in the public imagination with Hitler’s southern headquarters (they were actually located at Obersalzberg, a small settlement further up in the mountains) is a town that developed in proximity to the Augustinian monastery that owned the Salzbergwerk. In the early 1800s the monastery was converted into a palace for the Wittelsbachs, rulers of Bavaria at the time, and the entire area became associated with this colorful family. Still operational, the Salzbergwerk is a joy to visit. Donning the traditional leather vests and helmets of the miners, you start to feel as if you are a miner yourself. This sensation is heightened when, after a short train ride, you are asked to slide down a wooden chute into the mine itself. After overcoming my apprehension, I slid into the dark, feeling even more like a miner heading to work. Our guide, a local man, explained the workings of the mine to us—or so I gathered, since I couldn’t understand his thick “Bayrisch” accent. This only added to the feeling of being in a different world, a world where life goes on underground. The most striking element of this topsy-turviness was the presence of a large underground lake in the mine. Gliding silently across its depths on a wooden platform boat, it was eerie to see the lights at its edges through the darkness, and to feel the oppressive nearness of the stone “ceiling.” I imagined myself gliding across the river Styx, and shivered in the damp air. Returning from the depths of the mine, it was hard to think of salt the same way again. It is, after all, the only rock that we eat, and with thousands of tons of it looming above your head, you don’t immediately think, “pass the salt.” Vital to the functioning of our vital organs, we would die without salt, yet we live in a salt-glutted world, so much so that we are told to reduce our intake, for the sake of our health.